Please be advised that we do not currently have a Youth Council in operation (due to staff changes at the Council and other constraints e.g. School holidays) but are working towards re-instating this Youth voice so that younger people have their say and are engaged in community decision making. Cullompton Youth Council (run by young people, for young people) has recently been established to represent the young people of Cullompton and to empower them to have their voice heard. With Cullompton's continued growth, it is important that young people have their say at a local level in the decisions which will affect their local community and their lives in general. The Youth Council is always looking for more members. 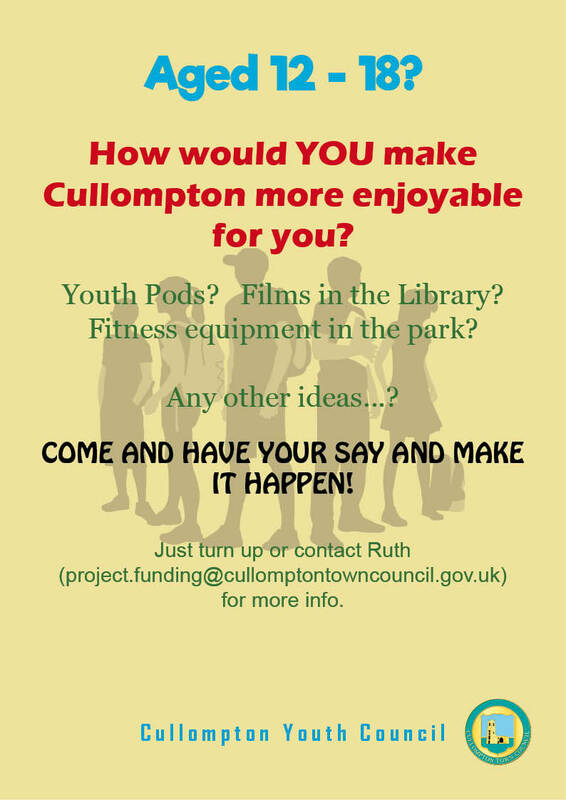 This is your opportunity to work on projects and give your opinion on how Cullompton will look in the future. If you are aged between 11 and 18 and would like to get involved in making Cullompton a better place for young people, then please get in touch.